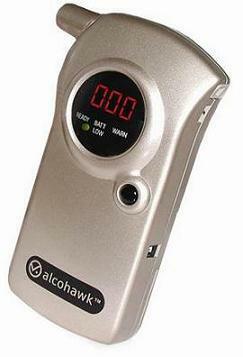 The AlcoHAWK® ABI has obtained FDA 510K Pre-market Clearance and meets DOT Standards as a Breath Alcohol Screener. It utilizes a state-of-the-art semiconductor oxide sensor to test breath alcohol content quickly and accurately. The simple one-button operation provides a digital reading in seconds. It is one of the top selling breath alcohol screening devices in the market. All AlcoHAWKs® now include Sensor Recognition Technology to monitor for certain types of abnormal sensor conditions. The AlcoHAWK® ABI includes five mouthpieces, a soft carrying pouch, wrist strap, owner's manual, quick start guide, and a 1 year warranty.